Our Location C-126, 4th Floor, Building 2, Phase 8, Industrial Area, Mohali. Australia provides wonderful opportunities and experiences, as well as world-class education. Most important four reasons why one should consider Australia as study abroad destination. Courses offered by institutions in Australia, from preparatory level to postgraduate programs, are flexible and equipped with global perspective. Australian universities also receive good ratings for teaching quality, research and graduate employment in QS rankings. 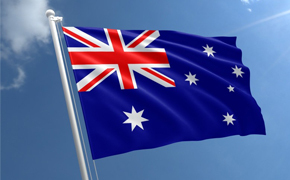 Australia offers friendly warm people who are passionate about sport, food and entertainment. It does offer you the city life experiences of in cities of Melbourne and Sydney. Australian education programs represent great value for money. Australian courses are often shorter than alternatives in other countries, particularly in the USA. Most Australian bachelor degree courses can be completed in three years and even less if the education provider works on a trimester system. This means that you can save a whole year’s tuition fees if you choose to study in Australian rather than in the US or the UK. Australia’s strong economy and low unemployment rates mean international students who wish to work have no problems finding a job. If you are getting ready to begin your study abroad journey in Australia, visit us to learn more about international study options and more. Australia is the largest island and the smallest continent in the world. It lies between the Indian Ocean and the South Pacific Ocean. It is about 11,000 kilometers southwest of North America and 3,200 kilometers southeast of mainland Asia. 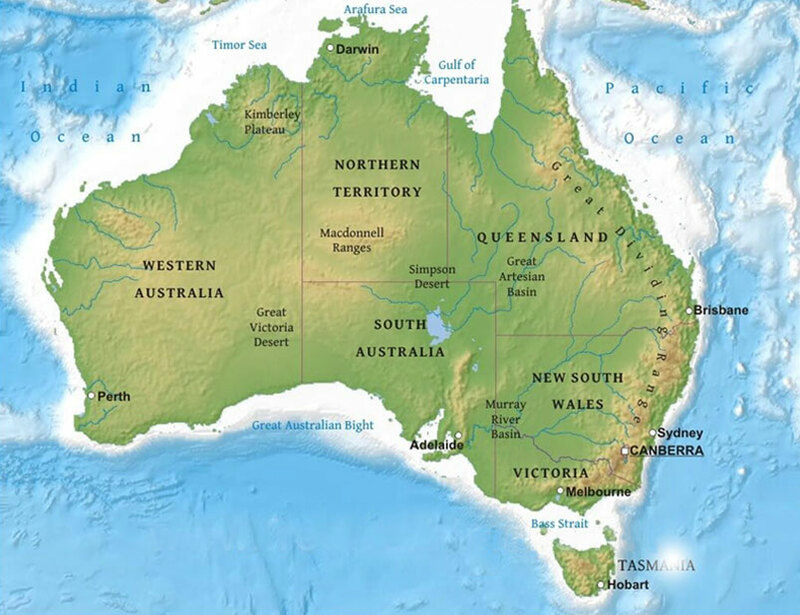 The country is divided into six states (New South Wales, Queensland, South Australia, Tasmania, Victoria and Western Australia) and two territories (the Northern Territory and the Australian Capital Territory). Each state and territory has its own distinctive character, climate and attractions. In each of Australia’s states and territories, there is a capital city as well as smaller regional cities and towns. All of Australia’s capital cities provide the vibrant, cosmopolitan lifestyle and multicultural society that you would expect, but each city has its own special character and charm. Australia has beautiful and diverse natural environment that makes it livable for student from any origin. Skiing and snowboarding in the mountains during the winter months. Australia is blessed with a climate that ranges from temperate to tropic. Situated in the Southern Hemisphere, its summer months are around January-February and their winter is June-July. The land supports a variety of natural geographical features- sandy beaches, rain forests, deserts, mountains, lakes and rivers. This in turn allows a plethora of flora and fauna to flourish. This large island sustains a wide range of animals – from the humble sheep and cattle to the exotic koalas, wallabies, kangaroos and pandas that are unique to this country. The Australian government ensures that qualification across the country is consistent and represent the same high standards of education vide Australian Qualifications Framework (AQF) The AQF provides clear rules about the level of education each qualification title represents. Studies in Australia has courses spanning 29 study areas, including accounting, business and management, and engineering and languages. Whether you’re looking to take up an undergraduate degree, English Language Intensive Courses for Overseas Students (ELICOS program) or you’re a graduate seeking a postgraduate degree, we have everything you need. The student community of Australia includes more than 5,00,000 internationals from over 150 countries studying in Universities. All 39 government funded Universities are listed in the Australian Qualifications Framework. There are also private institutions that offer higher education and many of these are ‘accredited’, i.e. approved by state or territory government to design and provide higher degrees of required standard. Australian universities also have overseas branch campuses, twinning arrangements and exchange programs for students and staff globally. Higher or post school education is of two types: University or higher education providers comprise the first kind. The second is the Vocational Education and Training sector which delivers the practical and skill oriented courses most valued or required by the Industry.Australian education is being constantly reviewed the government, industry and professional bodies to ensure that it does not stagnate but is updated to support the changing economy and its new requirements. The Australian Universities Quality Agency (AUQA) is an independent, not-for-profit national organisation that promotes, audits and reports on quality assurance in Australian higher education. Australian colleges and universities are well represented in Sydney, with students having a choice of a number of different types of learning institutions. Sydney Universities provide a quality education for all levels and areas of study, whether that be English language course or an MBA. Melbourne universities are within easy reach by public transport. There is also a well-established infrastructure to assist all students in their studies. For example, all over Melbourne there are free public libraries where a student can undertake some private study. Teaching and instruction usually involves the student having to do some research and analysis so the libraries can be perfect for this.Melbourne is the capital of Victoria and is Australia’s second largest city. Along with the many quality universities in Melbourne you will also find a city of style, fashion, food, architecture, theatres, galleries, trams and gardens. From the cafes and riverside Southgate to the designer fashion stores of South Yarra, Melbourne is a city of style and sophistication. Marvel at its fantastic architecture, excellent hotels, outstanding galleries and theatres. Enjoy fine cuisine and superb local wine in award winning restaurants. The city is home to more than 3000 restaurants serving over 70 national cuisines. Brisbane enjoys a rich contrast between the old and the new with classic Queensland architecture side-by-side with gleaming metal and glass giants built over recent decades. The Brisbane universities share this mix with solid foundations in the past along with a modern and dynamic approach to today’s education requirements. Students will find that study Brisbane means they have access to some of Australia’s finest institutions covering all areas of study from the Law and Medicine through to Business, Marketing, Tourism, IT and biotechnology. Each of the universities in Brisbane offers a high quality learning environment and collectively they cater for every student requirement. Brisbane itself is backed by the state government in providing services and facilities that make the city an easy place to study in. The Brisbane universities sector has been developed to match the city itself as it grows into an important international location. Perth is a cosmopolitan city of about 1.4 million people situated on the banks of the glorious Swan River in the south-west corner of Western Australia. There are five Perth universities that are the peak learning institutions in what is regarded as Australia’s “Education City”. Students in Perth know they will experience the very best of what Australia has to offer in the higher education sector along with student support services that are second to none. It can be a difficult choice to decide which of the Perth Universities is the more appealing. The decision to study in Perth is easy and one that many students from all around the world make every year. The freedom of a cosmopolitan friendly city with clean air, great beaches, and a mild climate can be a major attraction. Adelaide has all the benefits of the larger Australian cities, but is more affordable, easy to get around, and more friendly. Adelaide offers a community feeling that has been the basis for the development of a strong network of student-support services. This can be important to a student coming to study in Adelaide because it means they will be able to find housing and receive any support they require. Canberra is the modern, purpose built capital city of Australia. The city is concept planned with spacious wide avenues and open parklands, and as it is Australia’s capital, has an excellent range of amenities and services. The central area of Canberra, including the “Parliamentary Triangle” is designed to take advantage of views over and proximity to Lake Burley Griffin, created as part of the architect’s vision.One of the major attractions is the National Gallery of Australia and do not forget the Parliament House and much more interesting variety of creative architecture in the diplomatic part of the city.Located four hours south west from Sydney and two hours drive from Batemans Bay on the NSW South Coast, Canberra is also an ideal place to add to the variety of a visit to the natural splendour of the South Coast Region. The city of Hobart is the capital of the state of Tasmania which is Australia’s only island state. Hobart is Australia’s second oldest city and it has been able to retain the most charm and character out of all the Australian cities. Although it is the second oldest city in Australia, Hobart has managed to escape the developers and has thrived as the administration centre of a rich agricultural region with substantial business and industry operations. Darwin is the capital of the Northern Territory, where the lifestyle of the 105,000 residents is relaxed and the city is lush and green with palms and frangipani. Darwin is a modern bustling city with plenty of attractions and entertainment from nightclubs and theatres, with a casino, shopping complexes, restaurants, fabulous multicultural markets and international standard sporting facilities. The Northern Territory is like nowhere else on Earth. At the Top End of the Territory in Aboriginal Arnhem Land, you will find the GarigGunakBarlu (Gurig) National Park on the Cobourg Peninsula, a tropical paradise of swaying palms, fragrant frangipani and tepid waters which look so inviting, however the rivers are alive with fat barramundi and huge salt water crocodiles, the ocean, full of man eating sharks and huge salt water crocodiles as well as many other dangerous critters, swim only in the pool! Darwin is approximately 4050km from Sydney, 3500km from Brisbane, 3200km from Adelaide, 4500km from Perth and 1482km from Alice Springs. New South Wales has the largest population of any Australian state and offers students an excellent climate that allows for year round swimming and surfing in the north of the state and skiing in the mountain regions during the winter. The state has become the clear leader in Australian business and has also led the way in the development of the higher education sector with many quality NSW universities providing learning opportunities that satisfy all requirements, from learn English ELICOS through to DBA and Phd. The state of Victoria is blessed with a wide variety of environments that extend from rugged coastlines, peaceful beaches, tree-covered mountains, and semi-arid plains. It has a fair, temperate climate that makes it suitable for year-round enjoyment of the many wonders that it offers. The state has a long history as a business, cultural and intellectual centre and the universities in Victoria have developed both supporting and being supported by these important components of society. One of the major attractions of the Queensland universities is the way the state government oversees a system of education delivery that other states have begun to emulate. Western Australia, is Australia’s largest state in geographical area and has a varied climate and natural environment. Although it is the largest state in size the population is not as large as some of the other states because of the lot of the area is semi-arid and not suitable for habitation. The south-west corner of the state enjoys an excellent climate and it is here that the Western Australian universities can be found. Perth is the capital of Western Australia. Perth is a very vibrant and modern city situated on the Swan River and only a few kilometres from the beaches, Perth enjoys a Mediterranean climate with more hours of sunshine than any other Australian capital, just the place for students to relax and recharge for the task of academic study.